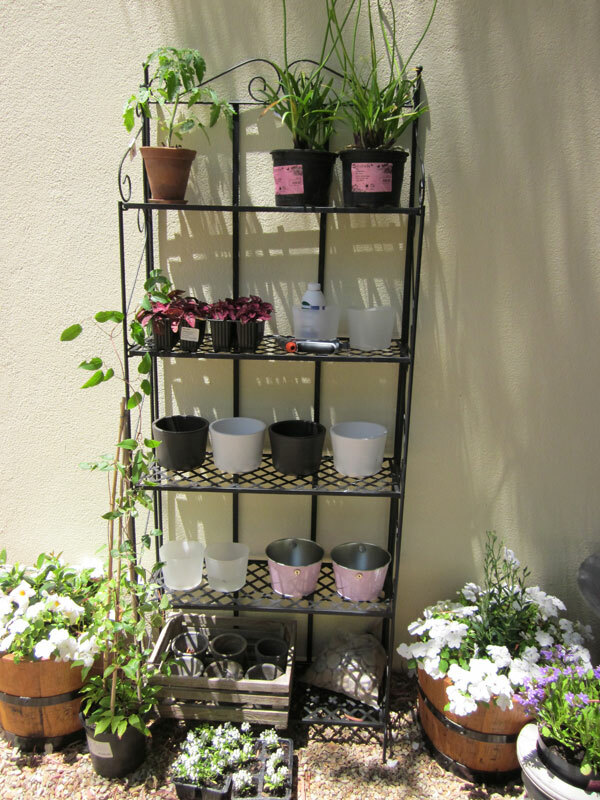 I added my new Tomato Plant to it and I’m going to plant herbs and things in some of the little pots. I have seeds – Coriander, Sweet Basil, Chives and Parsley, so this will be my first attempt at planting from seed. Should be fun! Don’t let Ferndale Nursery hear you say that! Heehee! It is very hard to only walk out with one item. I have the same problem. Oh yes, haha, I know! “Here come’s crazy plant lady again”, and “ca-ching”. They must think I have acres of land and nothing to do, haha!! 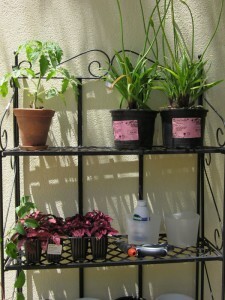 I think I have to go to another nursery next week, i have more stuff i need (something to fix the lavender with!). The truth is i go to buy 1 thing and leave with 10, and I justify it because they give me a discount! I wonder what the owners of Ferndale say when they see you coming – heehee!! 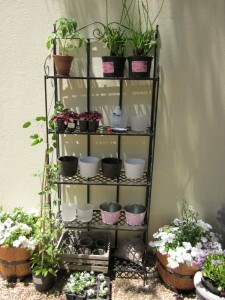 I love those plant stands and they will certainly suit your garden. They are perfect for an empty wall or a boring corner. Already it looks lived-in! Wait until you have your herbs and your tomato growing, it will be a pleasure to walk into your garden and pick some for your dinner plate!